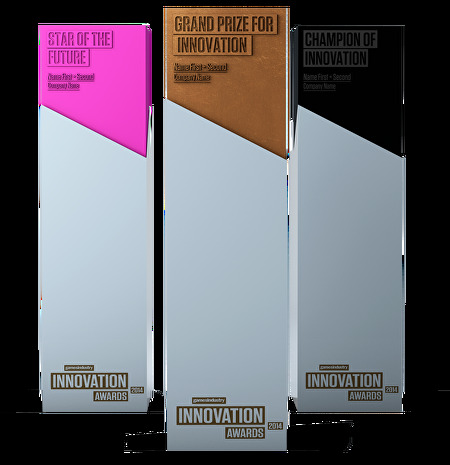 The GamesIndustry Innovation Awards are a brand new way to highlight the individuals and companies that are shaping the future of our business. The ceremony is taking place as part of the GameHorizon conference, and the GamesIndustry Innovation Awards will be nominated and voted for by the games industry. For more details and to nominate the individuals and companies that you think are worthy of recognition visit the nominations page on GamesIndustry.biz. Every shortlisted company/individual will receive a free ticket to the GameHorizon conference, which incorporates the GamesIndustry Innovation Awards ceremony. To stay up to date with the GamesIndustry Innovation Awards and GameHorizon make sure you’re following @GIBiz and @GameHorizon on twitter. The GamesIndustry Innovation Awards will recognise the highest levels of achievement in the global games industry. Contact Chris Buckley if you’re interested in getting involved in the GamesIndustry Innovation Awards as a sponsor or partner.